Keren David got her first job in journalism, at eighteen, as a messenger girl. The following year she turned down a place at university to be apprenticed as a reporter. She's worked for many of the national newspapers in Scotland and London and later became a commissioning editor on the Independent's op-ed page. After eight years in Amsterdam, Keren returned to London in 2007 and took a course of evening classes in Writing for Children at City University. Her first book, the award-winning When I Was Joe started out as a plot-planning exercise on the course. Lia's Guide to Winning the Lottery, a stand-alone novel, is currently being developed into a musical. 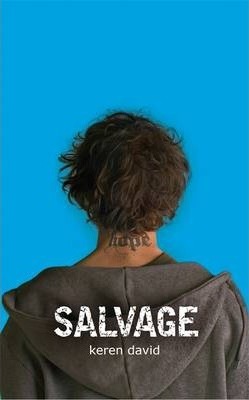 Salvage is Keren's fifth book.